Groove Dis Exclusive. UK sound system king who debuted at Notting Hill Carnival back in 1985, and has since garnered legions of dedicated followers worldwide. This LP has been reissued on 180g as part of ACID JAZZ's silver jubilee, a true 80's UK dub classic for fans of PRINCE JAMMY, KING TUBBY, and LEE PERRY. 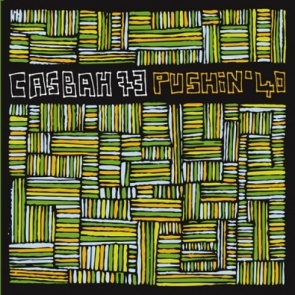 Casbah 73/PUSHIN' 40 CD OlivierDaySoul/KILOWATT CD Rebel Crew/BSTRD BOOTS #2 12"
Istanbul 70/PSYCH DISCO EDITS VOL 3 12" Bliss/KISSING CDS Oscar Mulero/DUALISTIC CONCEPT 12"